Below are photos and captions from the Language Access Community Outreach Meeting, which took place in Rancho Cucamonga on March 14, 2017. Listen to the audio recording of the meeting here. RANCHO CUCAMONGA—Chaired by California Supreme Court Justice Mariano-Florentino Cuéllar, the Judicial Council’s Language Access Plan Implementation Task Force will hold a public meeting on March 14 in Rancho Cucamonga to listen to community members and discuss task force efforts to increase language access to the courts for limited English proficient (LEP) court users. The meeting agenda includes an update on: court progress to expand court interpreter services in civil cases; recruitment and retention of qualified interpreters and bilingual court staff; and the use of technology to improve access to court services (video-remote interpreting, electronic signage, online information, etc.). Roughly 20 percent of Californians—nearly 7 million—have some English-language limitations, making it difficult to access the courts without significant language assistance. 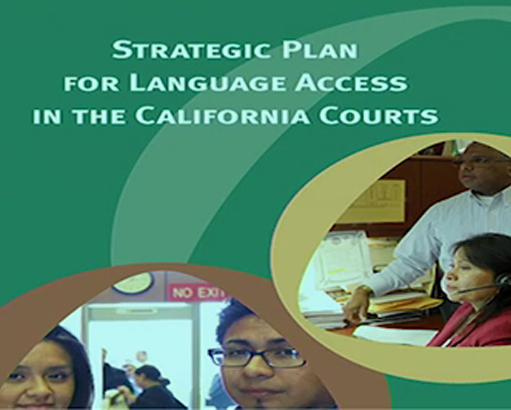 The language access task force advises the council on implementation of the 75 recommendations in the Strategic Plan for Language Access in the California Courts. The public meeting will be held on March 14, from 10 a.m. to 1 p.m., in the Vineyard Training Center, 9607 Business Center Drive, Building 13, Suite B, Rancho Cucamonga, California. A live audiocast of the meeting, as well as closed captioning (in English and Spanish), will be available on the Language Access webpage. If an interpreter is needed and/or Americans with Disabilities Act accommodations are required, please e-mail your request to LAP@jud.ca.gov. In addition to providing spoken public comment at the meeting, members of the public can also e-mail comments to LAP@jud.ca.gov. Written comments received by 10 a.m. on March 13 will be provided to task force members prior to the meeting.